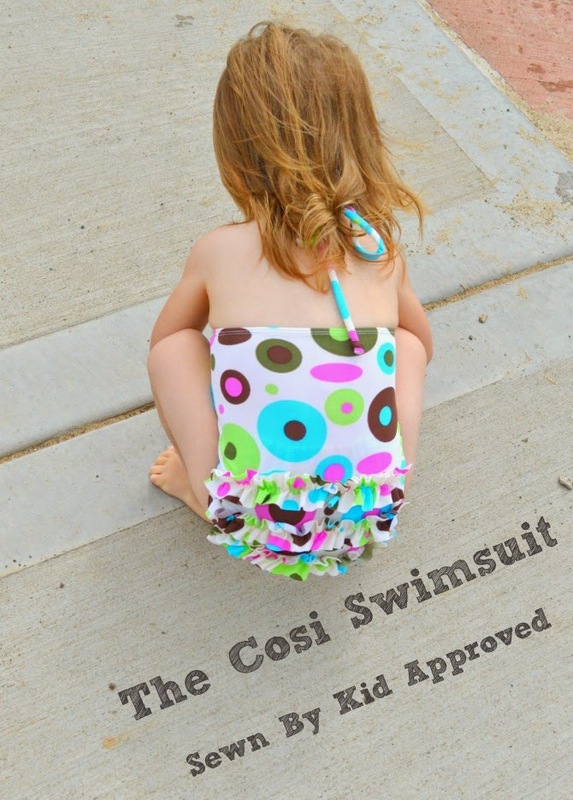 Cosi tour - Day 3: Kid Approved and JSMilani&Co. Today for my cosi swimsuit tour, I am welcoming Olga from Kid Approved and Stacey from the brand new blog - JSMilani&Co. Here is Stacey's gorgeous daughter in this awesome two piece!! I will admit, I do not know a lot about Stacey. I know that she is a paediatrician who lives in the US. She tested my pattern for me and her photos and suit were just gorgeous. 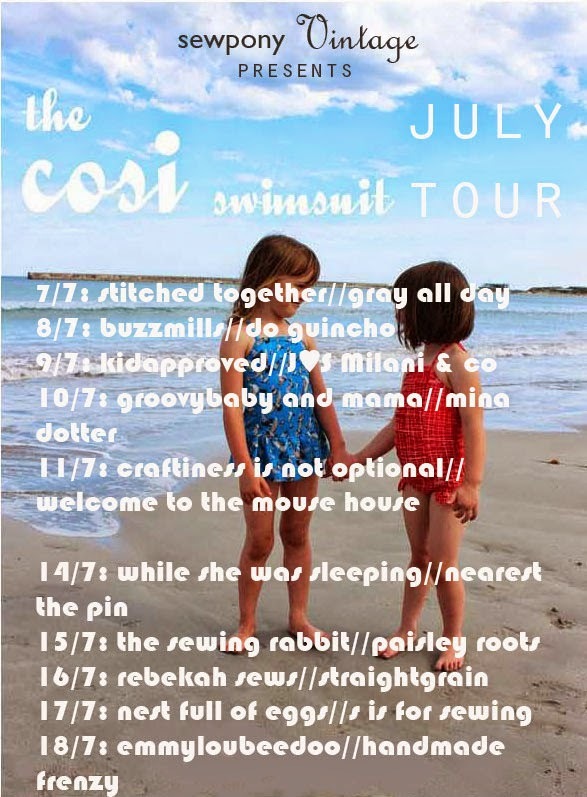 I asked her if she had a blog and she told me that she was planning on beginning one, so after I invited her to take part in my tour, she decided that this cosi suit would be her first post!. Please head over to Stacey's blog to see more and show her some love on her first ever post! Olga writes the blog, Kid Approved. She is super fun and friendly and loves to sew for her four kids. She recently contributed to the new pattern collective, Willow& Co with her awesome Mulberry Tunic pattern. Olga has also started sewing for herself and always looks awesome in what she sews. Have a look at this cool skirt! Olga has made a sweet cosi for her youngest daughter and added ruffles to the bum! So cute. She has a tutorial on her blog on how to do it yourself!! Thank you so much Stacey and Olga! Please come back tomorrow to see what Trine and Isabelle have made!